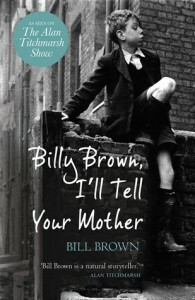 I've always enjoyed reading memoirs written by 'real' people (as opposed to celebrities) and Billy Brown was a wonderful post-war character with the gift of the gab and a finely honed entrepreneurial streak. He got his first job at the age of 9, tying bundles of firewood for Big Mike. This opened doors for him and he branched out to selling firewood from the discarded boxes at the market. Eventually his contacts allowed him to source pretty much anything for the right price. He became known around the area for his huge old pram, with which he transported his goods. His other pastime was scouring the bomb sites from WWII for metals, bric-a-brac and treasure. He even found an old German gun, which he sold for untold riches. Unfortunately he was also a bit of a rogue and found himself in trouble on several occasions. I really felt for him when his mother punished him by confiscating some of his hard earned cash. This is a wonderful reminder of a simpler time, when children roamed the streets for entertainment and neighbours kept an eye out for them. Set in Brixton, it also tells of the relocation of families into the new flats, with running water and heating, and the influx of coloured workers from the Commonwealth to drive the buses and tube trains. My only criticism arose from the fact that I was listening to the audio version, read by the author - who is now in his seventies. 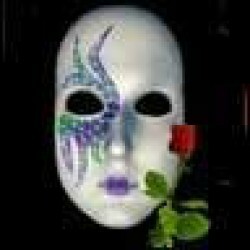 I was aware of a disconnect between the narrative of a young boy and the reading by a much older man.